Click the button below to add the GE002 (AAA 11mm Australian Golden South Sea Pearl Earrings In Gold) to your wish list. 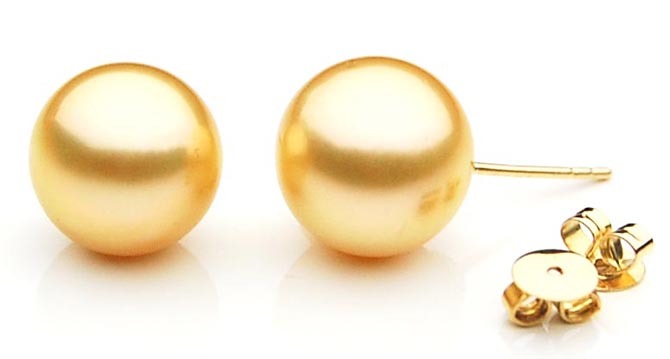 Perfect Round 10.8-11 mm AAA Quality Australian Golden South Sea Pearl Earrings set in 18k (750) Yellow Gold . With some trepidation I decided to purchase some pearl ear rings without seeing them first. I haven't done this before or indeed bought any jewellery sight unseen before. 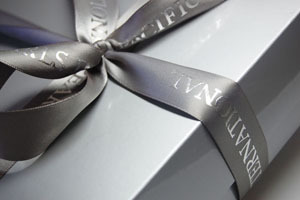 Much to my delight, the service was excellent, the delivery prompt and the packaging impressive and my ear rings are wonderful. Thank you so much. 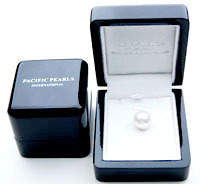 I am delighted and will not doubt be purchasing more pearls from Pacific Pearls International. The pearls are absolutely beautiful and I am impressed by their quality. I was reticent about buying pearls online, however I have no reservations in recommending this site to anyone who would want good quality pearls. I just love the them!!! !